Christmas is coming, and the goose is getting fat! But the NNA’s coffers aren’t so please note two ways of donating via online sources at the foot of this newsletter. Plenty has been going on in risk reduction policy this month so here’s a round-up of what the NNA has been up to in November. 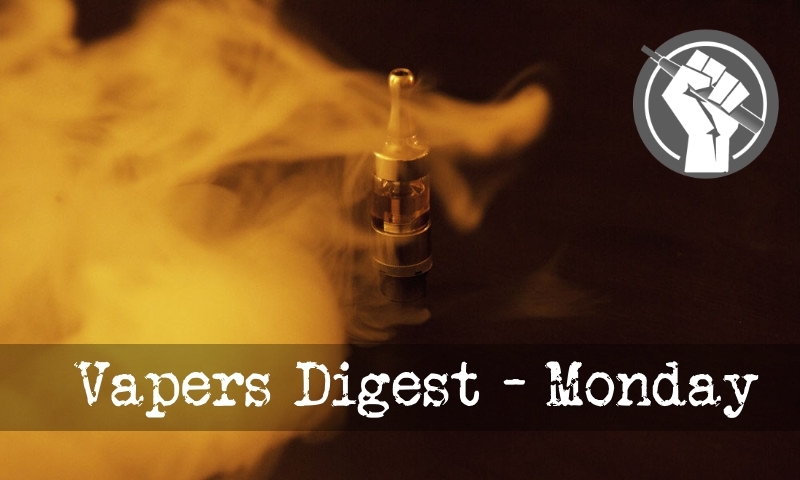 The highlight of the month was undoubtedly a new report from the All-Party Parliamentary Group on Vaping calling for better workplace policies. The document made five policy recommendations, all of them positive towards vaping…. Politicians in California are cloaking themselves in the outpourings from the Centres for Disease Control and the Food and Drug Administration to push for a total ban on eliquid flavours in California. The six legislators behind the move are proposing to implement stricter online selling regulations and end vaping in the name of protecting the children. “Study after study shows flavoured tobacco products turn youths into users,” says the shameless sextet, who all consider vaping to be tobacco product use. Ron and Deanna Marshal’s business has been under threat from narrow-minded action restricting how they trade. The tenacious owners of Freedom Vapes have progressed from their original Freedom of Information (FOI) requests and threats of taking the matter further – and have filed a lawsuit against the Gallatin City County Board of Health. The hard-working entrepreneurs uncovered a wealth of information when they submitted an FOI request. After ploughing through the material they realised they had enough to mount a legal challenge against the legislation requiring their customers to stand outside their vape stores is they wanted to use their devices. Greg, I have, and will continue to engage with anyone who wants to both protect kids and reduce harm to current smokers. There IS middle ground. Smoking rates continue to stagnate or increase in Australia, while falling faster than ever in many other countries. This was confirmed in the recent release of the official Queensland smoking rates by the Chief Health Officer. The smoking rate in Queensland has not changed over the past two years. One in six Queensland adults, or 15.8% per cent of the population still smoke. Maurice Swanson, CEO of the Australian Council on Smoking and Health (ACOSH) was interviewed today on radio 6PR about vaping, following an interview with Associate Professor Colin Mendelsohn, whom he repeatedly called ‘Mr Mendelsohn’. ATHRA ‘fact-checked’ some of the statements made by Mr Swanson. We found that many statements were misleading and did not accurately reflect the best available evidence. What’s so special about the Juul? A prominent New Zealand public health expert has urged faster and more ambitions progress towards vaping as a harm reduction option, while Britain’s doctors’ union – an ugly exception to the country’s positive approach to vaping – now seems to be taking a more positive tone. However, Indonesia’s government stunned health campaigners last week by openly telling vapers to go back to cigarettes – and California activist Stanton Glantz tried to match that with some fresh madness of his own. Attempting to rig the consultation; producing literature containing bald-faced lies to MPs; enthusiastically encouraging corrupt multiple signatures; and attempting to influence government to exclude any consultation responses they disagreed with and then trying to hide the evidence….